Oh, and the Sphinx’s nose? Obelix did that. Friends in Ireland introduced me to the adventures of Asterix and Obelix, who, thanks to the magic potion of the resident druid, Getafix and with the help of canine companion, Dogmatix (and in spite of resident bard Cacofonix) triumphantly defend the borders of their village against Caesar’s legions, to the legions’ great dismay (“I hate those Gauls.”). 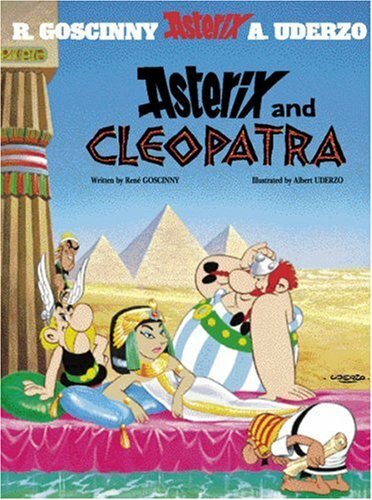 My personal favorite is Asterix and Cleopatra where they travel to Egypt to help Getafix’s buddy Edifis win an architectural contest between Ceasar and Cleopatra. There are of course pirates on the voyage, and when they get to Alexandria the Egyptians speak in hieroglyphics, but no worries, there are subtitles. Second favorite? 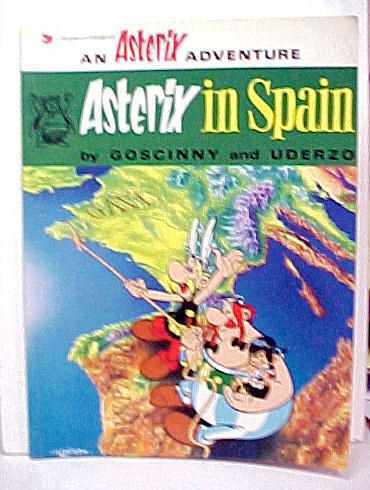 Maybe Asterix in Spain, where Asterix and Obelix rescue the urchin Pepe, son and heir of Chief Huevos y Bacon of Hispania from those dread Romans Raucus Hallelujachorus and Spurious Brontosaurus. Asterix is thrown to the aurochs but is saved by an opportunely-dropped red cloak belonging to the half-sister of Julius Caesar’s cousin by marriage, and there is of course a pleasant voyage (except for that little problem with the pirates) and the traditional homecoming feast. This graphic novel series has everything, great storytelling, superb drawing, awful puns, and wonderful sound effects. Yes, really. My personal favorite is “PAF!” whenever Asterix clobbers somebody into orbit. I also love the “TANTANTARA!” every time Cleopatra arrives on her gigantic, solid gold, uh, vehicle. And sneakily? Insidiously? While you’re laughing, you’re learning. Didn’t know they were still publishing these! Years ago, in French 3 class we had to read them IN FRENCH-the jokes are even worse en francais!